‘Morricone 60’ is the first album of Ennio Morricone’s greatest hits conducted, recorded and curated by Morricone himself. The celebrated Maestro performs some of his greatest film music, including The Good, the Bad and the Ugly and his recent Academy Award-winning score for Quentin Tarantino’s The Hateful Eight (released earlier this year on Decca). The album marks Ennio Morricone’s 60th anniversary as a composer and conductor and features brand new recordings with the Czech National Symphony Orchestra, with whom he has collaborated on major international movie scores. Over a number of decades, both Daniel Röhn’s grandfather and his father were renowned concertmasters on the universally unique German orchestral scene; now the new generation has joined those ranks as a soloist and chamber musician. 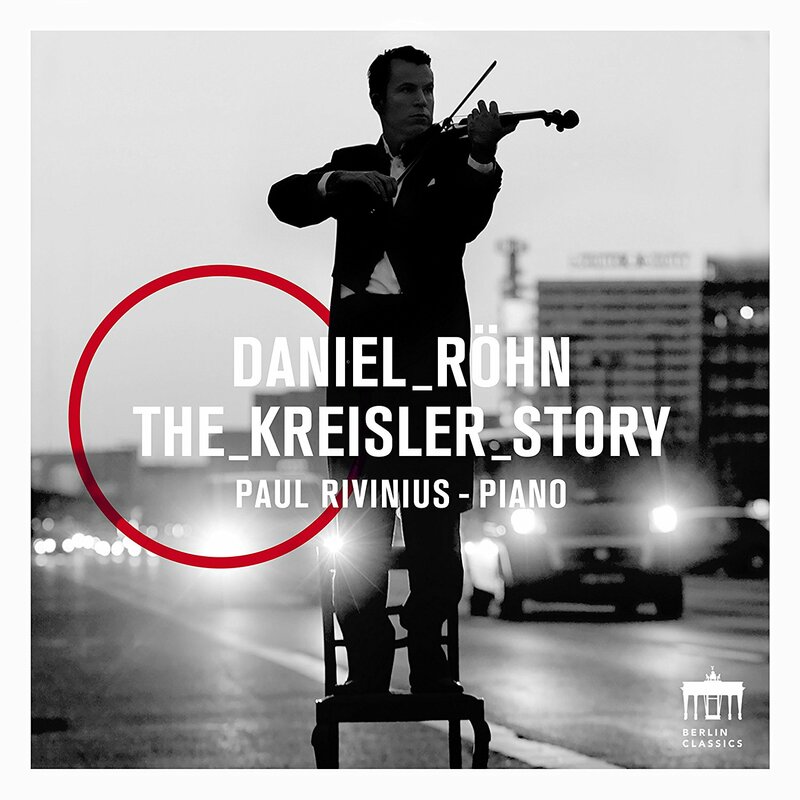 In this album, Röhn brings out all the captivating traditional Viennese wit of the character pieces by the great violinist Fritz Kreisler, endowing them in virtuosic manner with his very own charm. Masaaki Suzuki is a remarkable musician. He founded the Bach Collegium Japan in 1990, and over the past quarter century has established a fine reputation as an interpreter of Bach’s choral music. He has recorded all the Bach Cantatas on 55 CDs, and anyone who loves Bach should dip into them. He has now turned his attention to Mozart, and after a splendid recording of the Requiem, he now turns to the Great Mass, a wonderful work, in its way better than the Requiem, but not so fashionable because it was, for some reason, left unfinished. Suzuki here uses the completion made by Franz Bayer, and gives a performance that is first class in every way. His orchestra use original instruments, but the sound is mellifluous, not as abrasive as many such ensembles tend to be. His choir perform heroically, and there is a fine team of soloists, led by our own Carolyn Sampson, who sounds truly radiant in my favourite bit of this neglected work, Et Incarnatus Est. 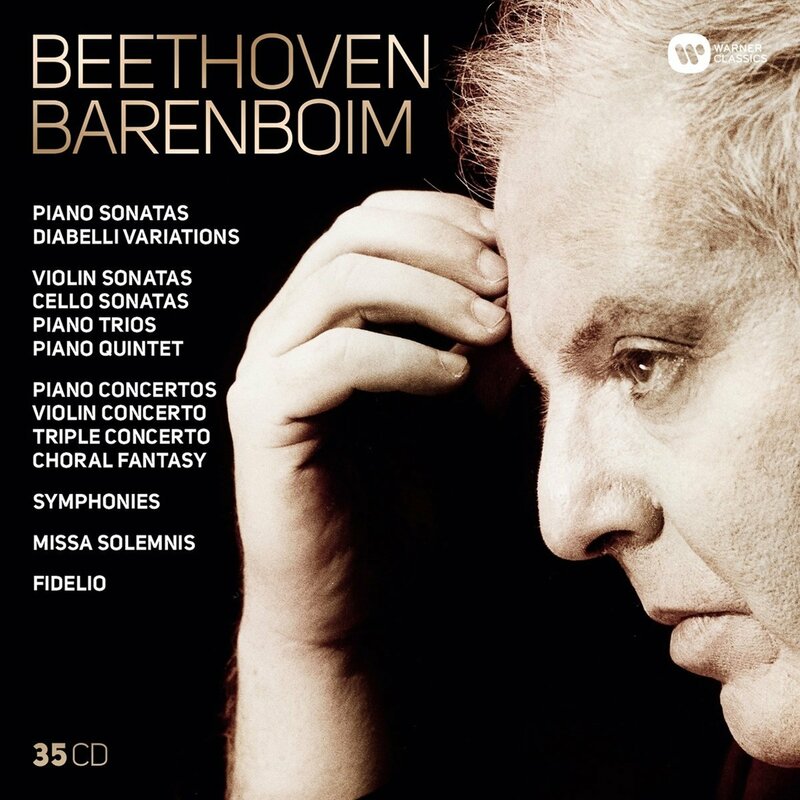 Anyone who is in any doubt that Daniel Barenboim is one of the greatest musicians of our time, won’t be, after listening to this thrilling set. It’s impossible to think of another musician in our time, who could perform so authoritatively almost all of Beethoven’s piano music, as well as conducting exceptional performances of the Symphonies, the Missa Solemnis and Fidelio. This 35CD set was recorded over a period of more than 30 years (1966-1999), and comprises both studio and live recordings. It’s a snip at £60 or less. In some of the chamber music, Barenboim is joined by his late wife Jacqueline Du Pré, and in the Violin Concerto by Itzhak Perlman. In the triple concerto, the other soloists are Yo-Yo Ma, and Pinchas Zukerman. Obviously, not every performance is best in class, but overall this is a magnificent collection. Nemanja Radulović is a Nigel Kennedy lookalike, though hopefully not so eccentric as Nigel, and has a dazzling technique working with an exceptional group of musicians on this Bach album. I greeted its predecessor, bits and pieces of Slavonic music with great warmth in a comment they used on the cover of this new CD, calling Nemanja an “exceptional talent with real charisma and serious youth appeal”. Anyway, this collection consists of two violin concertos by JS Bach, arrangements of stuff like the Toccata and Fugue, the Air on a G String, and the Chaconne, plus a reconstructed concerto by one of Bach’s sons, JC, known as the London Bach, because he spent most of his career over here. In some of the outer movements of the concertos the orchestra sound a bit too abrasive, but don’t let that put you off. Nemanja is dazzling – a really serious, and exciting musician. James Ehnes is an exceptional virtuoso violinist, whose artistry is always put at the service of the composer and his music, rather than confined to showpieces designed to display his own technique. Ehnes built up a formidable discography for leading commercial labels, and latterly for the artist-led Onyx label, so in effect, he records himself. This one, with his own quartet, consists of arguably Schubert’s greatest quartet, “Death and the Maiden”, which, although composed when Schubert was 24, seven years before his death, is doom laden, because it comes at the point when he knew he had syphilis, and that it would kill him. Which reads across well into Sibelius’s Quartet “Intimate Voices”, written while Sibelius was himself under the shadow of death, having to endure 13 operations for a tumour in his throat. These recordings, made last year at Potton Hall in Suffolk, sound really well, and the performances are first class. This is, at first sight, a curiosity, because the first part of the Christmas Oratorio comes from recordings made in Berlin in 2011 under Karl-Friedrich Beringer, and the second part has the same forces recorded four years later under Martin Lehmann. Not so curious though when we factor in that Bach’s Christmas Oratorio is actually six cantatas, put together for performance on six key dates over the Christmas/New Year 1734-35. In effect, then, the Christmas Oratorio is six works, though there are of course links between them. On that basis, this is a perfectly acceptable recording, and it’s good to have a new one of a great work, made all the more compelling by its price - £12.50 or less for two well-filled CDs. The performances are extremely capable, and well recorded. Not as distinguished as some you will find in the catalogue perhaps, but a good buy nonetheless.